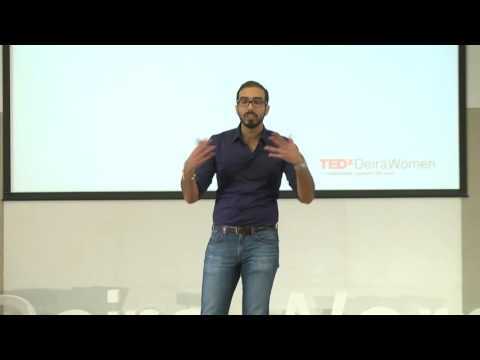 Back in October, I had the amazing opportunity to lend my voice and idea to the TEDx stage when I was invited to go to Dubai and speak at TEDx DeiraWomen. If you've ever given a TED talk, the moment is absolutely unforgettable with the flow of ideas and positivty that just encircles the room via both the speakers and the engaged audience. I enjoyed every minute I had spending time talking with the audience who were inspired by my talk and meeting the amazing speakers who just amazed me with their passion. The overall theme of the talks was "it's about time" - for me, I felt it was about time that men confessed to something; a subject which is long considered taboo within masculine spheres - the idea of men embracing female role models. Have you ever noticed how it's considered normal when a woman says that a man - such as Former US President Barack Obama - is her role model, whereas if a man were to say that a woman - such as Former First Lady Michelle Obama - was his role model, he's met with puzzled looks? Quickly, many things are questioned about this man who has a female role model; his sexuality, his strength, his profession, and his "masculinity". I believe the main reason for this is that society does not permit itself to look beyond the woman and look at the story of great women. If we continue to not embrace women as worthy of equal praise as men and as a source of inspiration for both men and women, we will never have true gender equality and sustainable peace in this world. To find out what I mean, I invite you to look at my talk on TEDx's YouTube channel by clicking here.